Kenneth Burton Hobson was born on 1 June 1908 in Mount Carmel, IL. After graduating from Ashland High School in Ashland, OR, in 1925, he attended the University of Oregon and the Southern Oregon Normal School. In July 1928 he entered the U.S. Military Academy and, on 10 July 1932, he was commissioned a Second Lieutenant of Infantry. In November 1933, Hobson received his pilot wings after graduating from the Primary and Advanced Flying Schools at Randolph and Kelly Fields in Texas. He was transferred to the U.S. Army Air Corps on 16 February 1934. Kenneth's first assignment was with the 73rd Pursuit Squadron at March Field, CA. In February 1937 he joined the 80th Service Squadron at Albrook Field, Panama Canal Zone. After a year of being hospitalized, Hobson was assigned to the 22nd Bombardment Squadron in April 1940, and served at Hamilton Field, CA, and Fort Douglas, UT. In May 1941, he assumed Command of the 22nd Bombardment Squadron and the following December moved with it to the Southwest Pacific Theater. The 22nd Bombardment Squadron was in the process of moving to the Philippines when the Japanese attacked Pearl Harbor on 7 December 1941. Three B-17s led by Major Hobson completed the first flight from Hawaii to Australia over an emergency-devised South Pacific air route, arriving 12 January 1942. Then he flew his B-17 Flying Fortress to Java in the Dutch East Indies, where his squadron had been diverted in an attempt to stem the Japanese advance. Hobson Commanded the 22nd Squadron in Java, the Netherlands East Indies, and Australia until September 1942, when he became Engineering Officer for the Far East Service Command. The following month he was appointed Operations Officer, A-3, of the Fifth Bomb Command in the Southwest Pacific. In January 1943 he was named Chief of Staff of that command and served in that position until June 1943. Hobson was then assigned to the War Department General Staff, Washington, DC, where he served until the end of World War II. In January 1946, he was assigned to Headquarters Army Air Forces as Chief of the Table of Organization and Equipment Branch, Office of the Assistant Chief of Air Staff for Operations. The following June he became Chief of the Organization Division. He entered the Air War College at Maxwell Air Force Base, AL, in July 1947. Upon graduation in June 1948, he was assigned to Strategic Air Command Headquarters then at Andrews Air Force Base, MD, and later at Offutt Air Force Base, NE. He assumed command of the 92nd Bomb Wing at Fairchild Air Force Base, WA, in June 1951. In February 1952, he was named Deputy Director of Manpower and Organization at U.S. Air Force Headquarters in Washington. He became Director of Manpower and Organization there in July 1953. His next assignment took him to the Far East as Vice Commander of the Fifth Air Force in Japan on 15 July 1956. He became Commander, Ogden Air Materiel Area, with headquarters at Hill Air Force Base, UT, on 3 August 1959. He assumed the post of Vice Commander, Air Force Logistics Command (formerly AMC) on 1 August 1961. 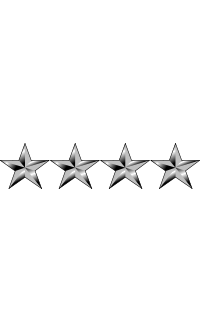 On 31 July 1965, Hobson was promoted to the four-star rank of General and was assigned as Commander of Air Force Logistics Command, effective 1 August 1965. 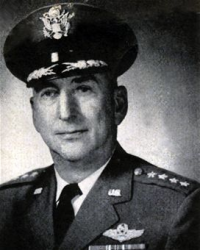 General Hobson retired from the Air Force in 1967. Hobson, a Command Pilot, served on 25 aerial combat missions, totaling 100 combat hours, in the Southwest Pacific. General Kenneth Burton Hobson died on 20 July 1979. 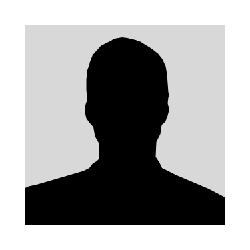 He is buried at the U.S. Air Force Academy Cemetery in Colorado Springs, El Paso County, CO, in Plot 003 E 047.